Better Hygiene, Lower Chemical Costs, Hazard-Free Operation, Faster CIP, Lower Water and Energy Use. 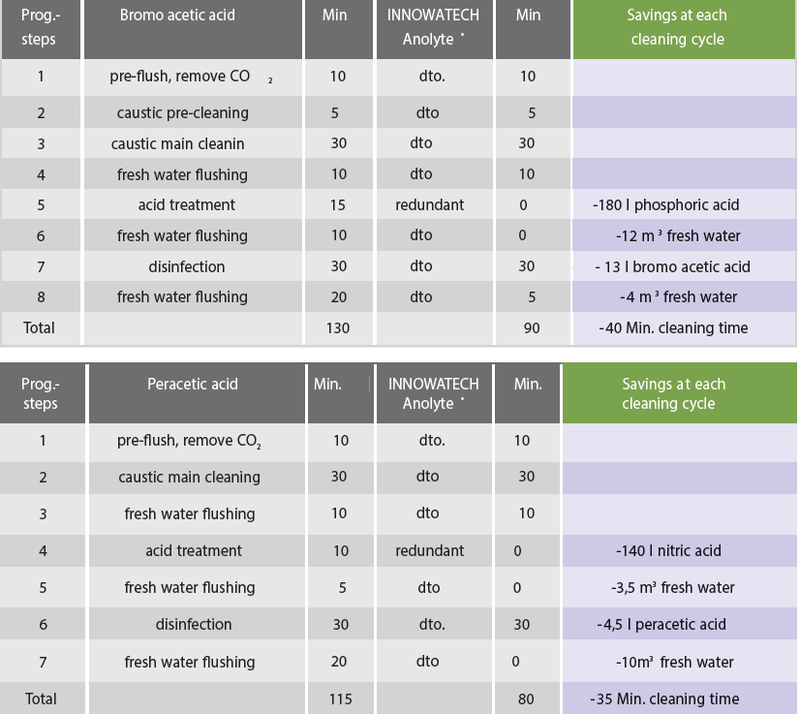 Our disinfectant, INNOWATECH Anolyte®, a powerful pH neutral hypochlorous solution, is produced on site by membrane cell electrolysis. Anolyte is listed in the appendix of the EC - Biocide guideline as disinfectant for food products and drinking water. Anolyte acts quickly and reliably against yeasts, bacteria and viruses, ensuring a hygenic process area. Due to its pH neutrality it has a high compatibility to materials (no corrosion effects) and induces no changes on your products at the applied concentrations. 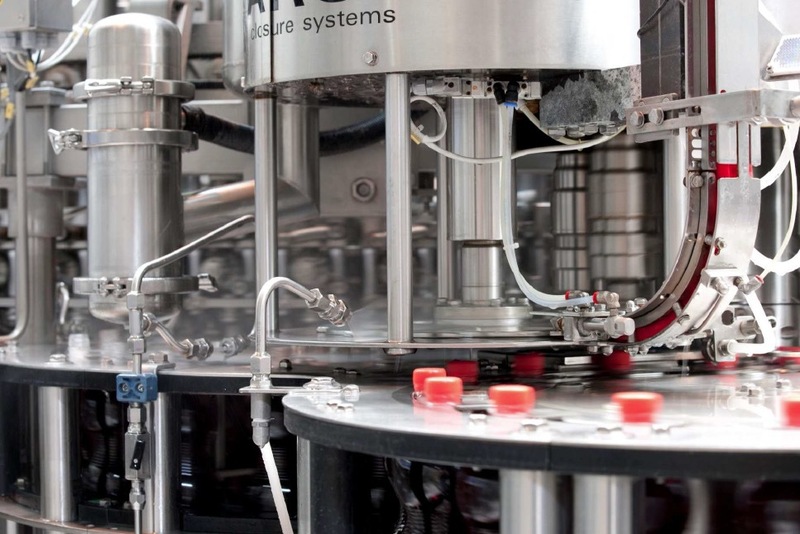 The Aquadron is used on over 50 bottling lines in the UK, Europe and further afield and helps the owners ensure that their products are produced in a safe and controlled manner. The use of the Aquadron in the production and filling of alcoholic and alcohol-free beverages increases the product security and leads to improved COD /BOD and AOX values in the waste water. As the Anolyte is produced out of water and common salt on site this means low manufacturing costs, minimal use of human resources, no hazardous chemicals and no transportation or logistic costs. Everything at the production site that comes into contact with the product or personnel will be flushed, cleaned, fumigated and/or sterilised after production end. The Aquadron technology is fundamental for drinking water treatment, system clean up and disinfection in the production and fillers. With Aquadron installed, it is possible to perform a permanent disinfection (HyClean plus Concept) during running filling processes. With Aquadron, the risk of microbiological contamination of the beverage is reduced and a stable product quality is assured. An increase in filler hygiene - this has allowed Aquadron clients to move away from chemical and cost intensive in-drink sterilisation and filler CIP. A reduction in chemical use - typically we replace chlorine dioxide and perecetic acid with anolyte. This has significant cost and health and safety benefits. An improvement in waste water quality (lower BOD, COD and AOX) as aggressive chemical use is minimised. Less handling of hazardous chemicals and less hazard generation (there is no risk of toxic gasses or exposive atmospheres with the Aquadron). 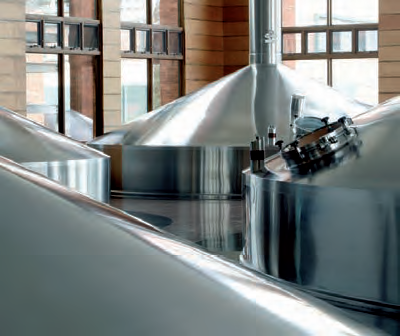 Improve filler CIP - you can reduce filler CIP times by 20 - 30% by replacing process steps. Reduced water use in CIP - you can reduce water use in CIP by 30 - 50% by removing the need for some flush cycles. The Aquadron is often used to replace more hazardous substances such as PAA and chlorine dioxide. this reduces potential risk and employee / chemical problems. AQUADRON PROVIDES GUARANTEED HYGIENE, FASTER FILLING AND REDUCED CHEMICAL AND WATER USE. Hygiene compliance costs money, but moreover a loss of hygiene damages reputation and customer loyalty. 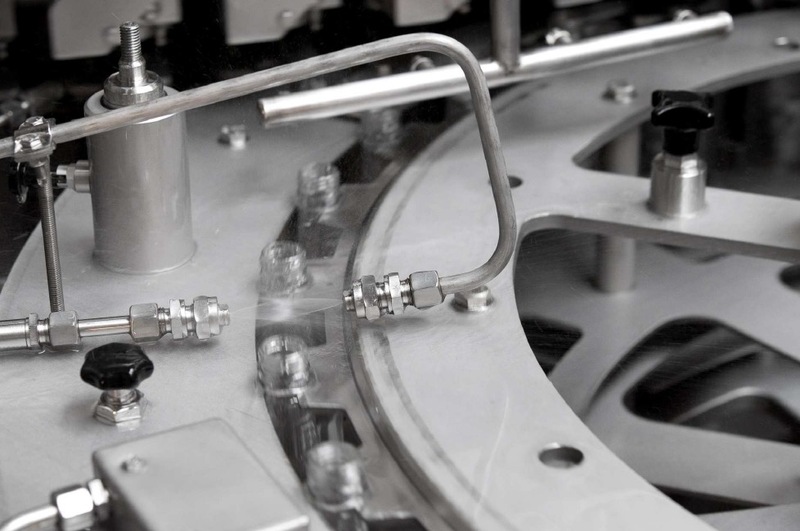 A continuous and efficient quality assurance process is therefore needed throughout the entire production line to maintain product stability and sales figures. With the Aquadron technology it can be guaranteed that hygiene has been addressed in a reliable, ecologic and economically optimised way. Disinfectant supply to clean-in-place (CIP) and sterilise-in-place (SIP) systems. Rinsing of bottles / necks. Allowing reduced water temperatures in hot washes. Permanent disinfection during a running filling process. Mist and fog spray to treat contaminated air.